Apprentices can find it hard to make ends meet financially, so for the seventh year running, Rheem Australia is stepping in to give apprentice plumbers a financial boost. Rheem will help 10 worthy recipients start or continue a plumbing apprenticeship by providing $30,000 in total grants as part of the 2019 Rheem Apprentice Plumber Grants program. 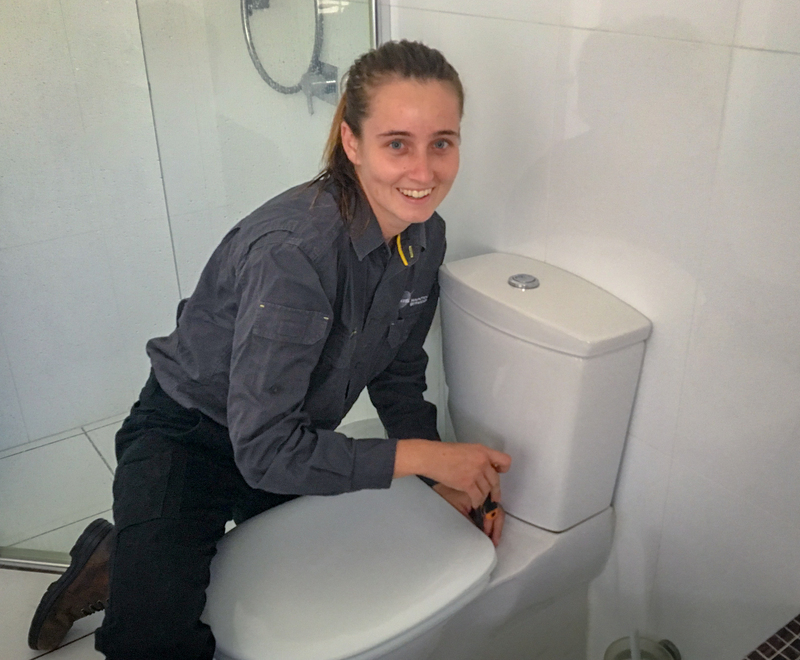 Queensland plumber Eilish Grundon, a 2018 Rheem Apprentice Plumber Grants recipient says, “Receiving the Rheem Grant has honestly changed my life for the better. Rheem Australia’s Chief Operating Officer, Chris Taylor, says the Grants program is a way for the company to give back to the industry that has supported Rheem since the 1930s. As the country’s leading producer of water heaters, Rheem marked its 75th anniversary in 2012 with the launch of the Apprentice Plumber Grants to thank the Australian plumbing industry for its ongoing support and to invest in the industry’s future. Since the Grants program was launched, Rheem has awarded $214,500 in grants to 179 apprentice plumbers. “It’s amazing for Rheem Australia to really support the grass roots of the industry and I couldn’t be more grateful,” says 2018 Grants recipient, Chris Osbourne. In 2018, the 10 grant recipients included males and females from a variety of locations and backgrounds, including two former soldiers, a young man supporting his terminally-ill mother, and a sci-fi novelist – all of whom share a desire to become part of the next generation of plumbers. “Over the years we have had a great number of applicants from all walks of life, ranging from age 16 to 64! Rheem is committed to helping them achieve their goals,” says Chris. Applications for the 2019 Rheem Apprentice Plumber Grants open on Monday February 4, 2019 and close on Monday April 1, 2019. Apprentices can nominate themselves or their employer can nominate them on their behalf. Application forms will be available from February 4, 2019 at www.rheem.com.au/apprentice and can submitted by email, post or fax. Visit https://www.facebook.com/rheemapprenticeplumbers or the Rheem website for further information and updates.